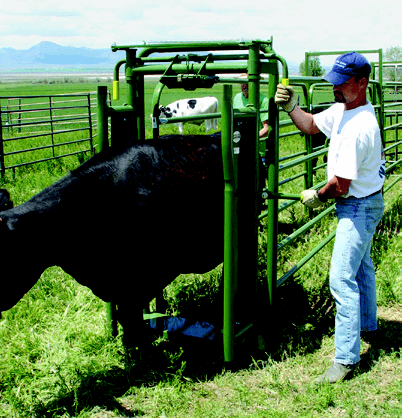 Protect yourself and your veterinarian with Powder River’s Pregancy Test Gates. A posititve single bar spring loaded latch locks off the alley, forming a protected work-space. Our 2011 upgrades to the Preg Gates now make it possible to connect to any Powder River chute.